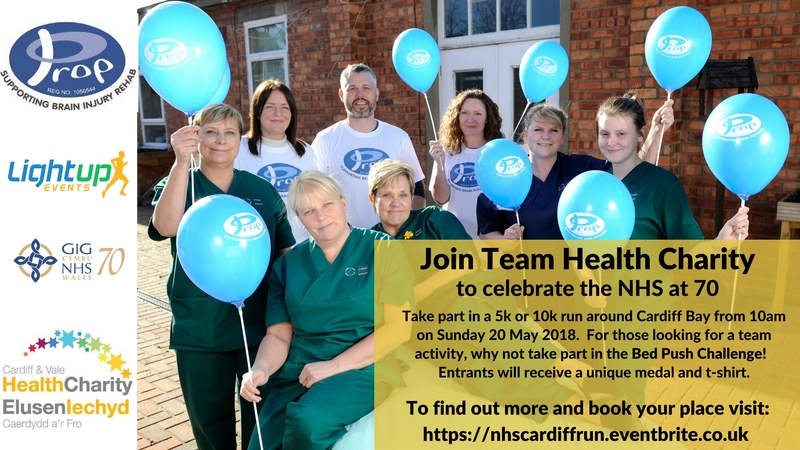 To celebrate the NHS at 70, Cardiff & Vale Health Charity have organised a bed push, a 5k and 10k run on 20 May 2018 at Cardiff Bay, with money raised at this event going back directly into healthcare and supporting those with brain and spinal injuries. Behind the scenes, helping to organise this event is Paul Harrison, Professional Lead for General Podiatric Practice at Cardiff and Vale University Health Board. Paul has been instrumental in pulling this event together, as in November 2016 he had a traumatic brain injury and is passionate about giving something back for the kindness and care he received. Paul said: “I’m a Reservist with the Army. I was training with the Army in Austria during November 2016 when I had a high speed crash which resulted in a head injury. I was off work for eight months and ended up in neuro rehab in an Army medical facility based at Headley Court. “After leaving rehab I was determined to give something back for the help I received. So I ran four half marathons over the period of a month and raised £3200 for the Headley Court charity. “I’ll admit I got a bit carried away at this point and started entering marathons, triathlons and an ironman to try and raise more money. But I quickly realised I can only ask for so much from my friends and family and had to change tack before I made them all bankrupt or they starting ignoring my calls! “So I had to think of another way to raise money to help others who had suffered traumatic brain injuries. “On my journey to recovery, exercise had played a huge part in my well-being, both mentally and physically. I wanted to encourage others to take part an event that was beneficial to their health and well-being. 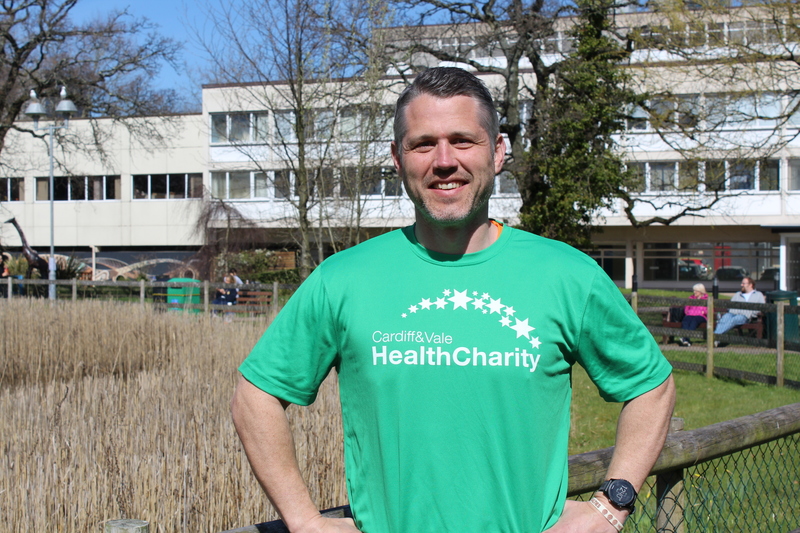 “I floated the idea past a colleague about organising a run from Rookwood to the University Hospital of Wales and whether she’d help me plan it. She had the great idea to link it to the NHS 70 celebrations and introduced me to the Cardiff & Vale Health Charity who were happy to work with me to raise money for the brain and spinal injuries unit at Rookwood Hospital, helping me to give something back for the care I received. “We started planning the run with Light Up Events, and decided to do a fun bed push to kick the event off, where teams of 5 will take on a challenge against each other, pushing a bed 200 metres at Cardiff Barrage, as well as a 5k and 10k run around Cardiff Bay. “It’s been a real team effort, with Light Up Events agreeing to run the event for us, Cardiff & Vale Health Charity and Unison kindly sponsoring the finishers t-shirts. “I am extremely grateful and humbled that people I didn’t know a very short time ago were willing to give up their time to take part in the event and help make it happen. “The response has been so great so far with almost 200 people signing up for the event, but we’ve still got a way to go to reach our target of 500 runners. “When I decided that I wanted to continue to raise money for people who have had traumatic brain injuries, I knew it wasn’t going to be an easy task, but a quote I came across early in my path to recovery that helped me, came to the forefront of my mind – ‘Viam inveniam aut faciam’ which means ‘I will find a way or make one’. Those words have driven me forward in organising this event.